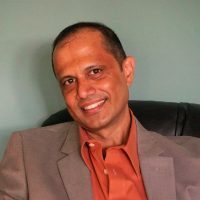 Reginald D’Silva has a multidisciplinary background in engineering, computer science and the social sciences. His PhD research focused on the use of voice recognition software programs in developing literacy skills in post-secondary English as an Additional Language (EAL) learners. He currently is the Academic Director of the UBC Ritsumeikan Academic Exchange programs where he is involved in the scholarship of teaching and learning of language and content courses.